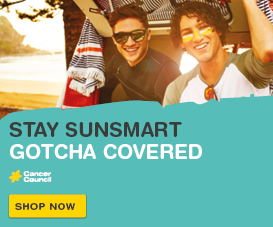 Around 27,000 Queenslanders are diagnosed with cancer each year, and of those diagnosed, 66 per cent will survive for five or more years. As people diagnosed with cancer are living longer, the need to address quality of life, psychosocial, and survivorship issues has become more important. For every person diagnosed with cancer there are others who are intimately involved as their carer and family member. 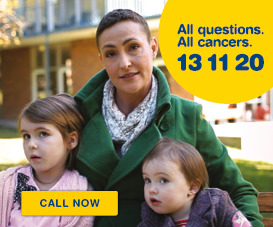 It’s for these reasons that Cancer Council Queensland has developed a community activity program. Community activity programs are activity-based peer support programs which brings together people who have been affected by cancer to participate in a regular physical or leisure activity. 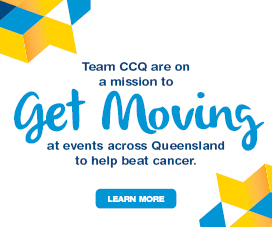 Community activity programs groups are led by trained Cancer Council Queensland volunteers, and meet regularly across the state. Groups can undertake physical activities including yoga, Tai Chi, and walking, or leisure activities such as book clubs, singing, and art sessions. We currently have groups in the Brisbane, Cairns, Gold Coast, Rockhampton, Sunshine Coast and Townsville regions. Please note: All new group members are required to complete an Community Activity Program Registration and Waiver before participating in any group activities. To download these forms, click here . Please complete and bring the form along with you to your first session. Are you interested in starting your own group? Would you like to donate your time and skills to creating your own community activity programs group? You may have skills, experience, or an interest in a specific activity that could be the perfect social connection for someone experiencing cancer in your local community. If you would like to know more about how to start your own community activity programs group, please call our Volunteer Hotline on 1300 851 957. With the approval of their doctor, participants can attend at any stage of their cancer journey, not just once treatment is finished. Exercises will be adapted to each individual participant. Participants should wear comfortable clothing for yoga. Participants should wear comfortable clothing for yoga. Participants should bring a yoga mat and a towel and wear comfortable loose clothes. This group caters to people who are gradually returning to exercise, as well as those who want to increase their activity level. Participants should wear comfortable walking shoes and hat, sunscreen and own water bottle are recommended. Shade, seats and drinking fountains are available throughout the park. Participants should wear comfortable clothing for yoga. Yoga mats and cushions are provided. Wear loose comfortable clothing and socks (if bare foot is not suitable). Bring drinking water to keep well hydrated throughout the session. Participants should wear comfortable walking shoes and exercise clothes. Hats and sunscreen and drinking water are recommended.